Instead of your usual, heavy quiche recipe, this combination offers a lean vegetable option with low-fat yoghurt and eggs. 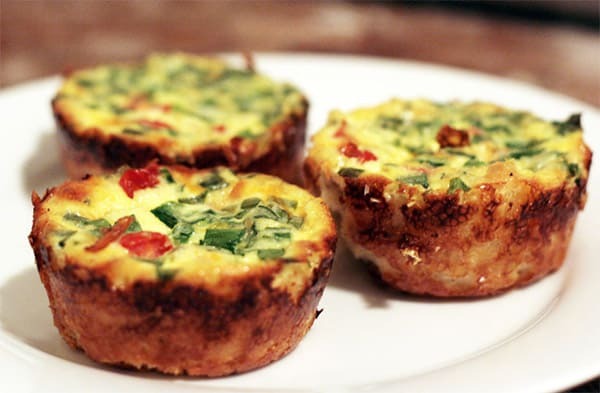 The recipe can be made in your regular quiche dish, but this time we have decided to go with something new – mini quiche snacks made in standard muffin pan. I promise you'll love it! Line a deep 8 muffin pan with baking paper. Cut two layers of filo pastry into squares, press gently into muffin pans allowing pastry to stand above rim of pans. Lightly beat eggs and fold in yoghurt, zucchini and green onions. Bake at 180C until lightly browned and a knife inserted into quiches comes out clean. Serve with a large green salad. Serves 4. (Two quiches per person).